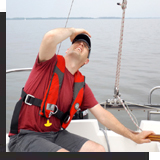 Learn to Sail...and enjoy a little R&R! 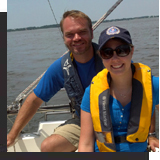 We are professional educators who delight in sharing our passion for sailing. Each student will enjoy a personal learning experience, as they master the knowledge and skills to feel confident in their sailing abilities. Advance your skills with some individual instruction, or learn as a small group with friends and family. Our maximum of four students per boat gives all students the greatest amount of boat handling experience on the water. Captain Penny always says: "Learn to sail; you might want to go somewhere." R&R Charters and Sail School is pleased to offer a 10% discount to our veterans for ASA 101, 103, 104, & 106 on the water classes. Thank you for your service to our country!